Founded in 1979, Jacks Auto Service is a small automotive repair & maintenance company in Edison, New Jersey. A full-service restoration and repair shop. We fix everything from minor repairs to major repairs. We perform repairs on plastics, fiberglass, sheet metal, and aluminum. Does your car make a strange sound or do you have a check engine light on? Bring your car into Jack’s Auto Service so we can run a diagnostic exam and trouble shoot the problem. Our facility can preform routine maintenance or find the reason your check engine light is on. We can also fix your air conditioning, heating system, suspension, steering, brake system or exhaust system. 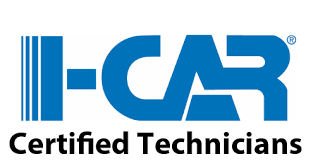 Jack’s Auto Service is an I-car certified and has been fixing car’s around Middlesex County, NJ for over 40-years.